We are a swan rehabilitation centre rescuing, treating and caring for sick and injured swans within the Thames Valley and surrounding areas. We are also passionate about educating the public with regards to the detrimental effect human behaviour and carelessness can have on swans and other water birds. We have over twenty years of experience and knowledge in handling and caring for swans. We have a team of dedicated rescuers and volunteers who willingly give their time to help rescue swans, and also care for them, feed them and clean out sheds and pens at the centre on a daily basis. We are a voluntary organisation who rely entirely on public donations to enable us to continue our work. 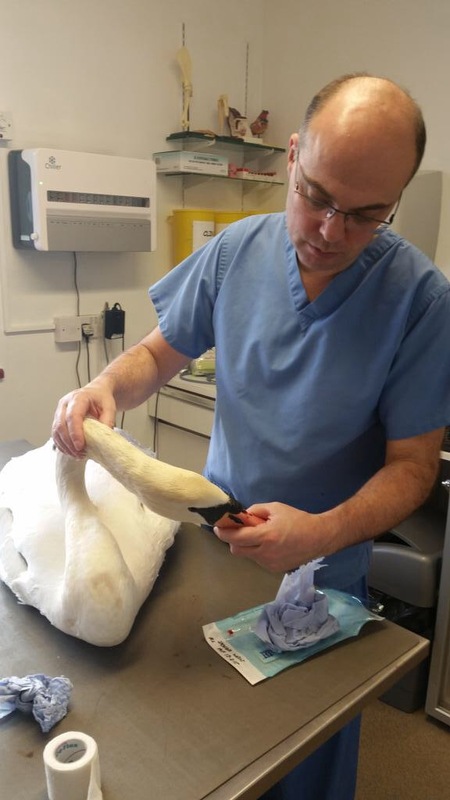 Our vet, Dr Paul Crocker MRCVS from Windsor has been working closely with Wendy Hermon, Treatment and Rescue Centre Co-ordinator for over twelve years, and has built up a vast wealth of knowledge in the physicality and anatomy of swans and is highly experienced in dosages and treatments needed. We are available for rescues 24 hours a day 7 days a week and frequently have swans requiring medical attention during the night. We frequently train various organisations in the catching and handling of swans, these organisations include the RSPCA, Highways Agency, Fire Brigade, Royal Parks, Police and Network Rail. This ensures the area is cleared immediately, the bird is secured and the traffic is not disrupted.